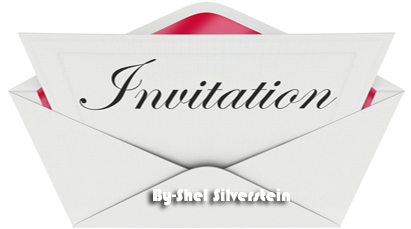 The poem "Invitation" in simple language is an address or summon to readers. The speaker in the poem invites the readers to come and sit with him. It is not fixed who the real readers are. The readers may be any person who pass their time doing nothing useful as much. They may be just wishing for something and telling a lie. Similarly, they may hope for something and may be religious minded (धार्मिक) persons praying to God or asking or begging for something. They may believe in magical power. Similarly, they may be pretenders (नक्कल गर्नेहरु), imitators, show-off persons, who claim that they have right to a particular title but other may not believe them. The speakers invites all types of readers to sit by his fireplace. They will narrate some colourful stories of fairies. They will spin or weave, knit (बुन्नु) some beautiful stories. तिमी स्वप्नदर्शी वा कल्पनाशील व्यक्ति हौ भने, भित्र आऊ। तिमी आशामुखी व्यक्ति हौ भने, इच्छा वा चाहना गरेर बस्ने खालको व्यक्ति हौ भने, झुटो कुरा गरेर बस्ने खालको व्यक्ति हौ भने, आशा गरेर बस्ने खालको व्यक्ति हौ भने, प्रार्थना वा अनुनय गरेर बस्ने खालको व्यक्ति हौ भने, जादुको सिमी किनेर बस्ने खालको व्यक्ति हौ भने, तिमी झुट र कपटी हौ भने पनि, आऊ मेरो छेउको अँगेनोमा बस। किनभने हामीले आलसको फूल जस्ता केही सुनौला कथा रच्नु छ। आऊ ! आऊ ! 1. Literal Comprehension: In this poem Shel Silverstein appeals his readers to gather around him and accompany him. It is because they are going to compose Flax Golden Tales together. The poet requests all kinds of readers to go and sit near him and to tell flax-golden tales together. They may be any person. He/she may be a dreamer, a wisher, a lier, a hoper, a prayer, a magic bean player, or a pretender. They can go there freely and participate in his story telling programme. From there they are going to make a collection of beautiful fairy tales. 2. Interpretation: The poem "Invitation" tries to create a good readership especially in young generation. It is the poet's desire to inspire for reading habit. Modern young people are not so much interested in reading and enjoying literature. May be they have not properly been invited to read. Not being interested in reading the children are more pretenders, liars, magic bean players and so on. When they have inner desire for study they will start to read and will be co-readers to spin, colourful Flax-Golden Tales. The speaker's intention seems to make readers and other people to be more imaginative, creative and to have fun in literature. 3. Critical Thinking: The basic intention of the poem seems to make people more creative and productive making a good habit of study. It has easily drawn the attention of different readers. With the respective structural pattern the poet convince the readers to go with him to narrate some beautiful stories and nice pieces of literature. The multiple use of 'come' has focused much on the importance of reading and value of good readers. How can one be more creative and interested in literature if there is no passion with him ? Only invitation without interest becomes useless. Still the poems seems to arise some keen interest for reading. 4. Assimilation: Before reading this poem I did not have keen passion to literature. I had much interest in music, song and sports. I used to think literature does not do any practical thing in our life. When I read this poem, I got a vision that literature; is also the main source of entertainment or happiness. Dreamer, liar, pretender, prayer all could be adjusted in the vast arena of literature. To spin Flax-Golden Tales inspired me to enjoy the world of imagination and creativity. Our life cannot always be charming if we do not love reading by heart. I knew the value of reading literature with keen interest. The world of literature is very beautiful, shining and useful for many times and it can brighten our life like a flower of flax plant. It is good for having both good and bad nature people. 0 Response to "Invitation | Summary | Four Levels | WordMeanings In Nepali"